Using the picture to show the use of the wordnet hierarchy and the identifier for the animal (mailto:rocky-fanmail@rdfweb.org). 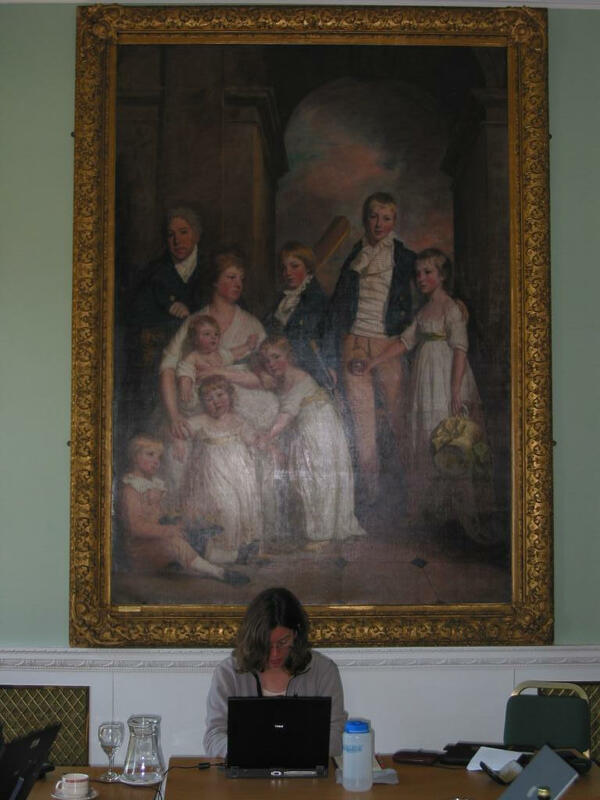 Dave Pawson suggested a vocal annotation for blind people, describing the positions of the individuals in the painting and their relation, and what they look like. He recorded such an annotation later ( MP3 format. Danbri did some SMIL demos with this recording. Royal Fort House, where the painting is located - the slave trail history, architectural history (we have this on paper).